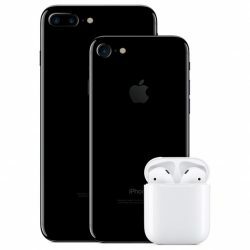 When connected to an iOS device, AirPods and AirPods 2 can be used to summon Siri, Apple's digital assistant, allowing you to speak a variety of handsfree commands. With first-generation AirPods, you need to use the default double tap gesture on the left or right earpiece to activate Siri before you could start talking. But with second-generation AirPods, all you have to do is say "Hey Siri" and the digital assistant will be ready to respond to the words that follow. You can still use the double-tap gesture to summon Siri on the newer AirPods if you prefer, but you should find the immediacy of using the "Hey Siri" invocation a lot more convenient if you tend to be working with your hands when you're wearing Apple's wireless earbuds. Here's a quick list of need-to-know Siri commands you'd do well to memorize to get the most out of your AirPods. Note that these commands won't do anything if your iOS device doesn't have a network connection. It's a strange requirement, but unlike Voice Control, Siri needs an internet connection even for basic playback commands. "Turn volume up/down" or "Raise the volume by 50 percent." "Play [Song Name]" or "Play [Podcast Name]." "Play my New Music List." "Skip back/forward" or "Skip back/forward X seconds/minutes." "How is the battery life of my AirPods?"